Watching a dress go from concept, sketch on paper, to completion is an amazing process. We have now entered, the middle part of this process. I had my first dress fitting and I’m sooooo thrilled!!! 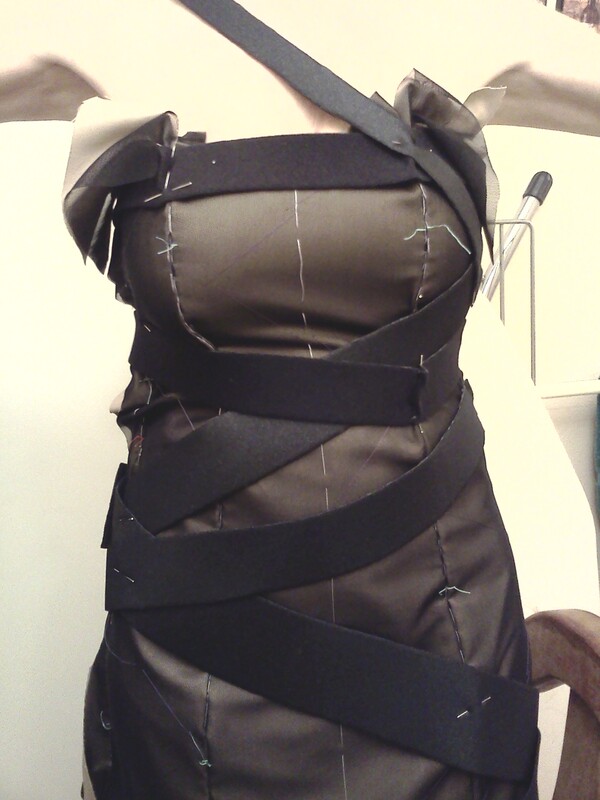 It’s all still black, with outer stitching and extra fabric, but you can tell it’s going to be amazing. It will, “make the eyes dance” as a friend of mine put it. Check it out! I’m so excited to be wearing, a Yeaggy!!! No Comments on "Annie Attire #4"